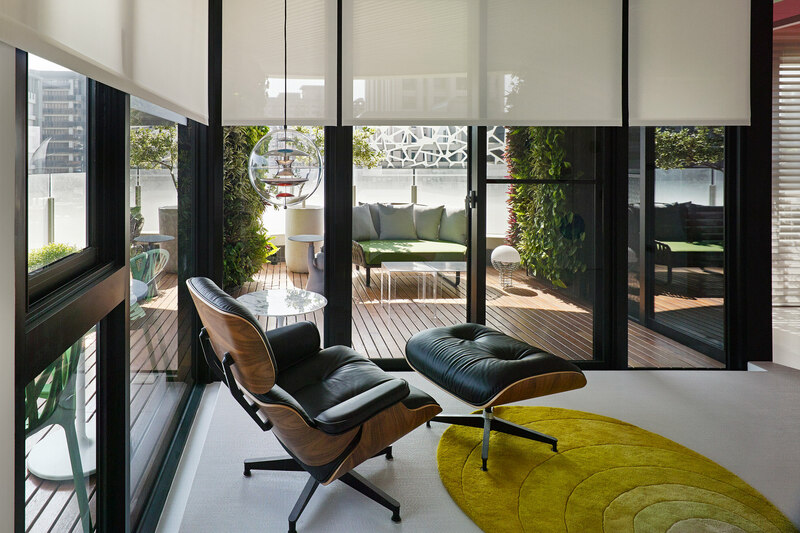 Everything started at the moment when the owner made his very first purchase of classic designer chair, a Egg Chair that inevitably jump starts his furniture collection as well as a deep fascination of prominent modern artists. 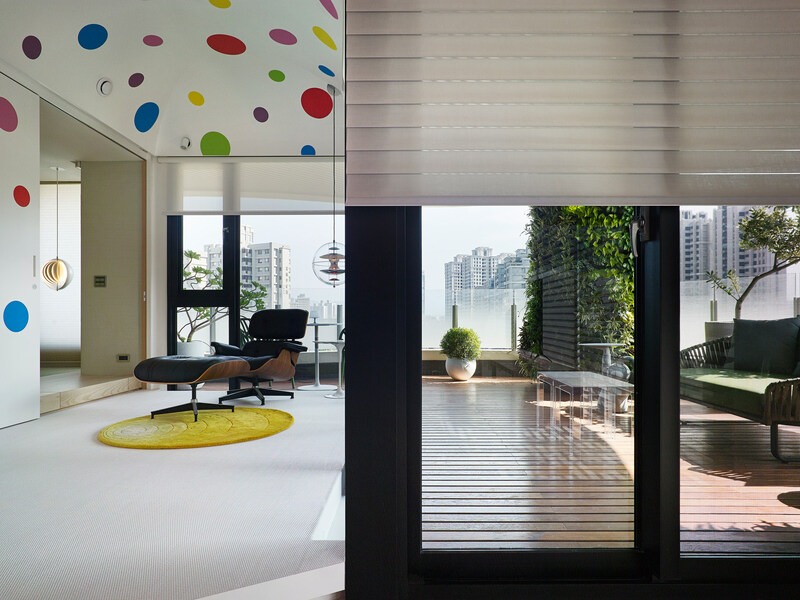 We at FU-GE attempt to translate that very taste and desire and weave them into the design of this property. 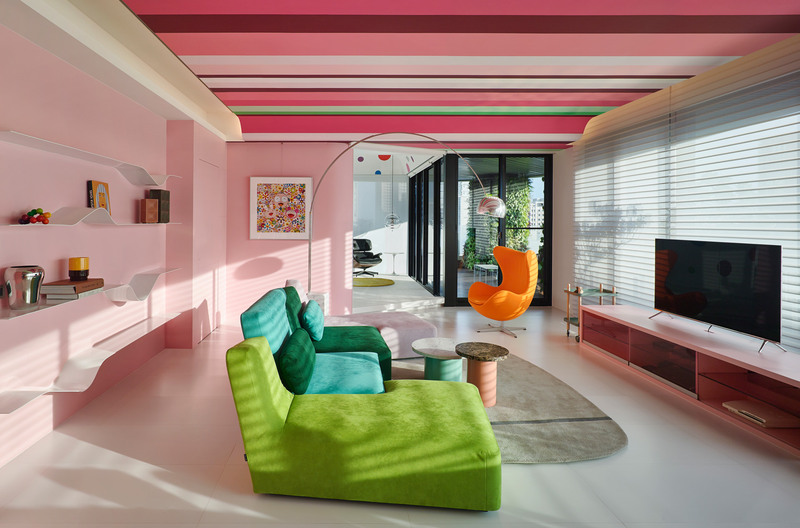 The interior’s rectangular circulation is set up to literally bridge different portions of the house and seamlessly present the transition of style and artistic influence. 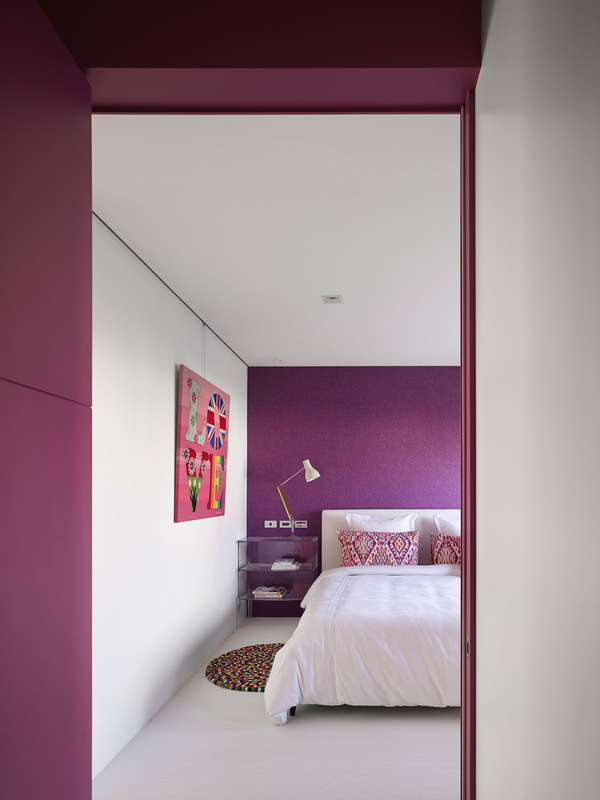 We use a wide palette of colors while finding a neat visual balance to properly present the owner’s vision. 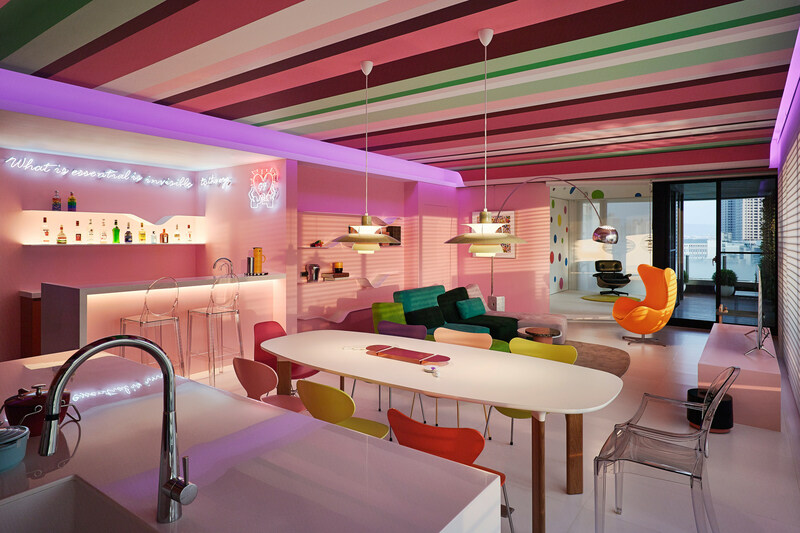 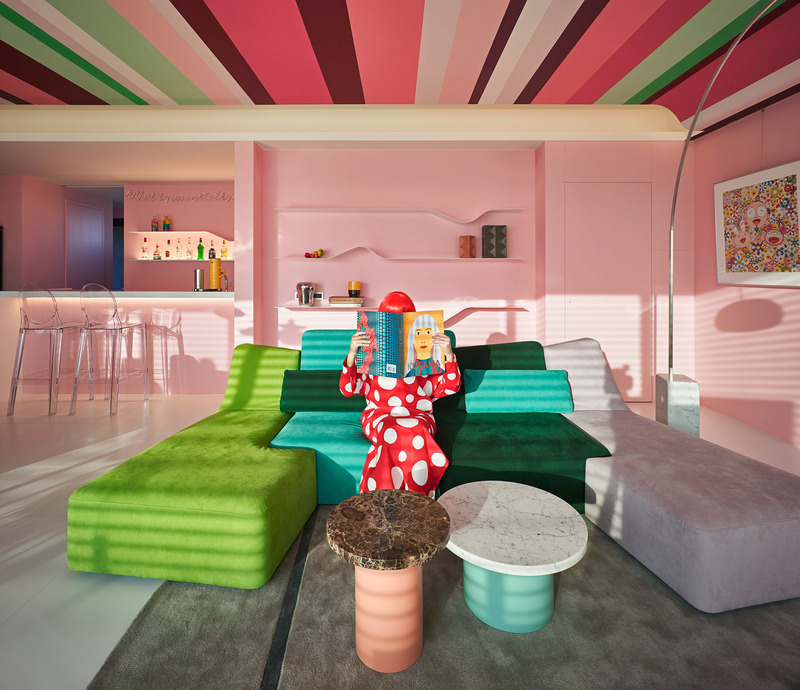 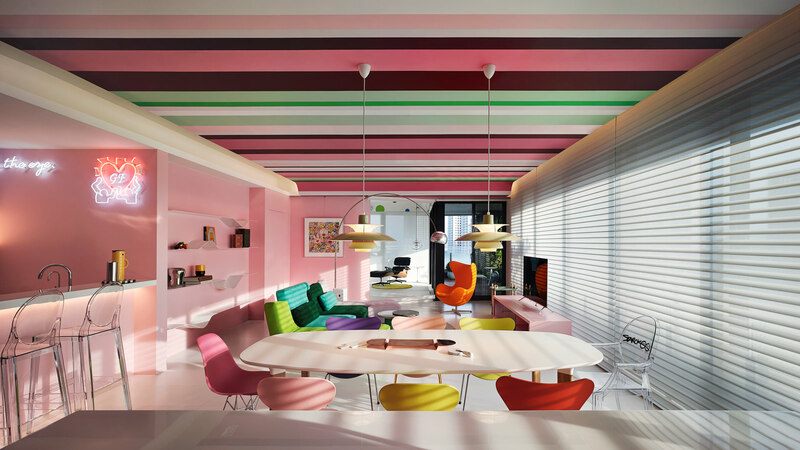 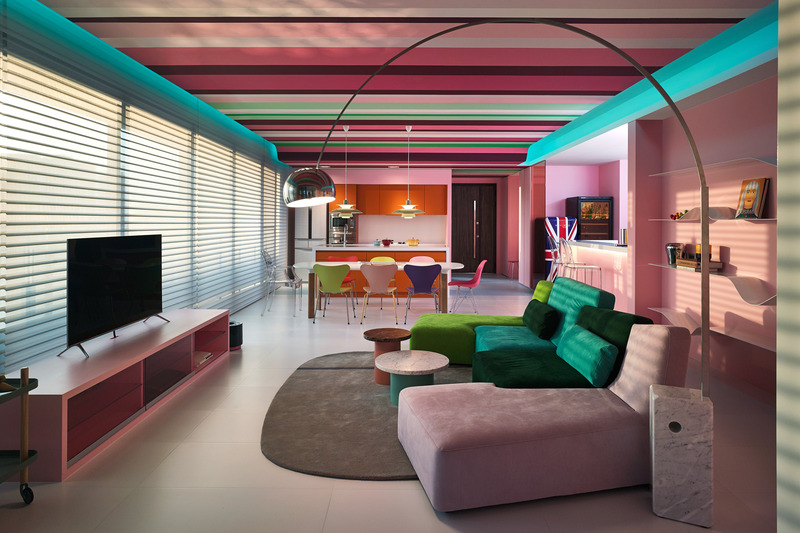 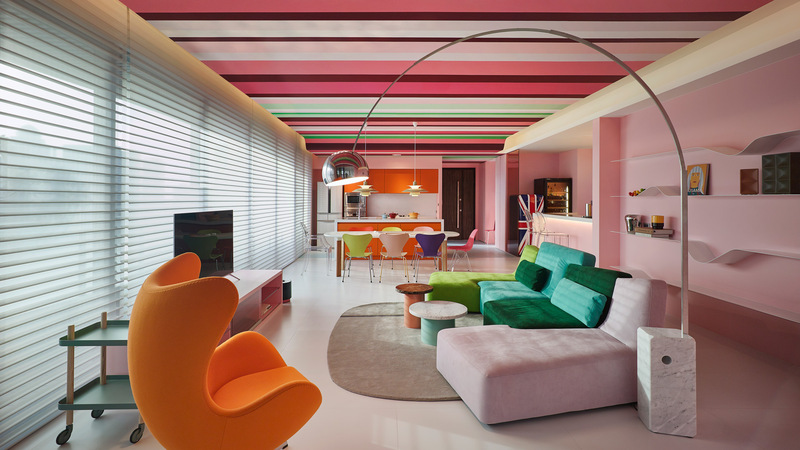 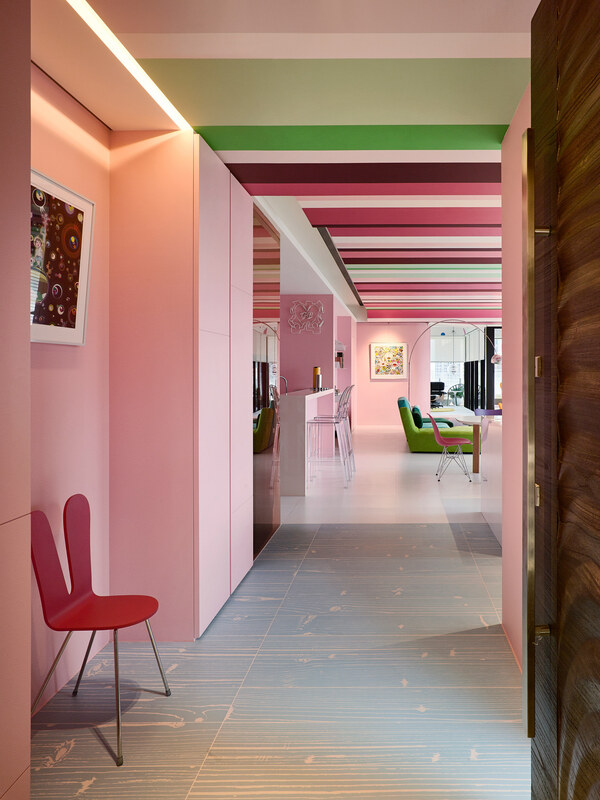 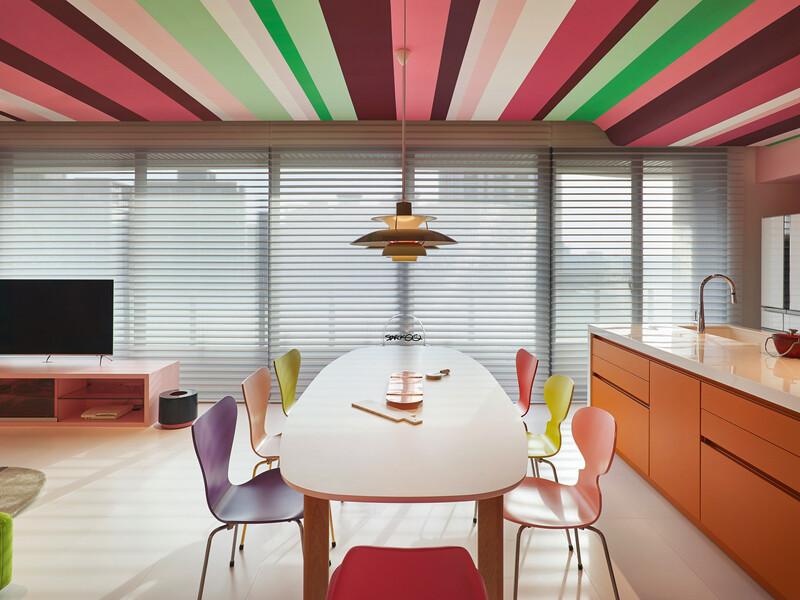 For instance, the striped design on the ceiling is an obvious homage to Paul Smith, completed by the hands of artist François Fléché. 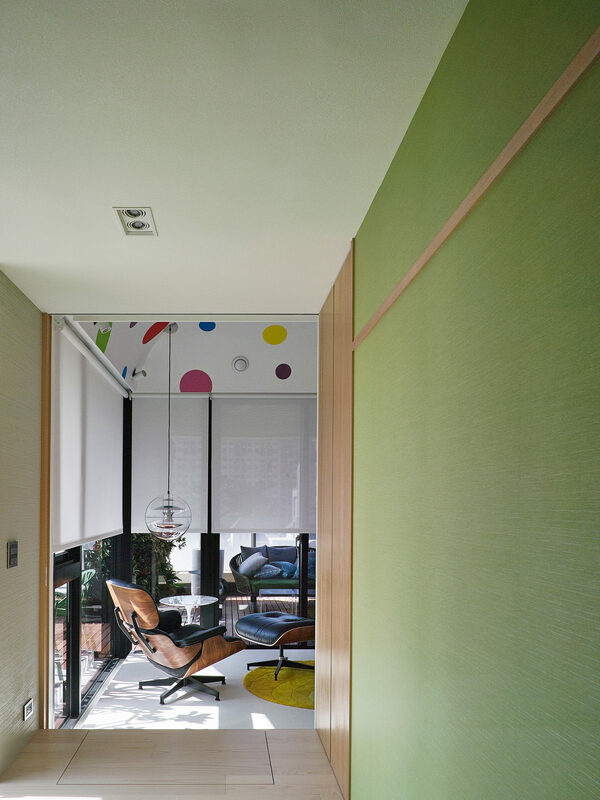 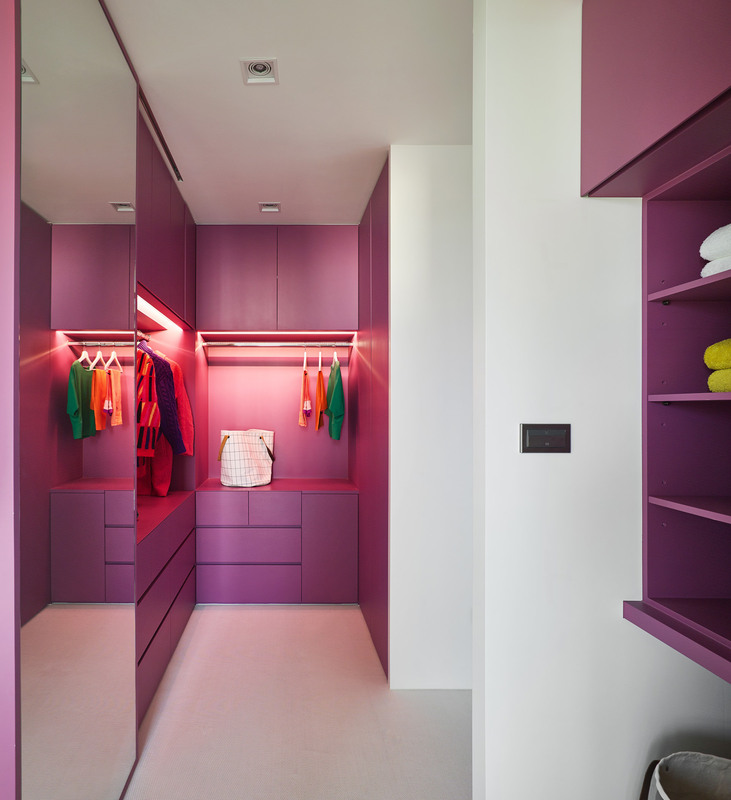 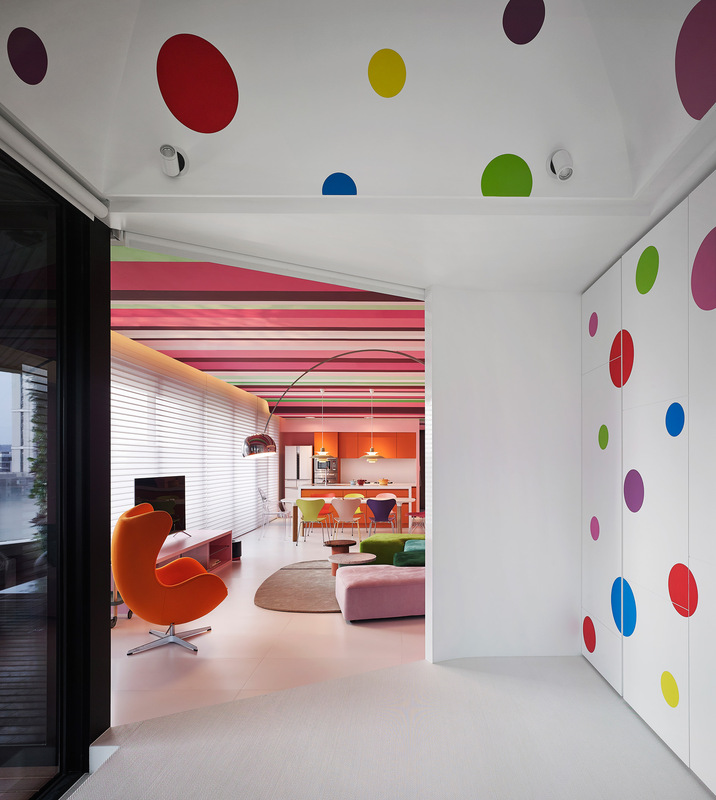 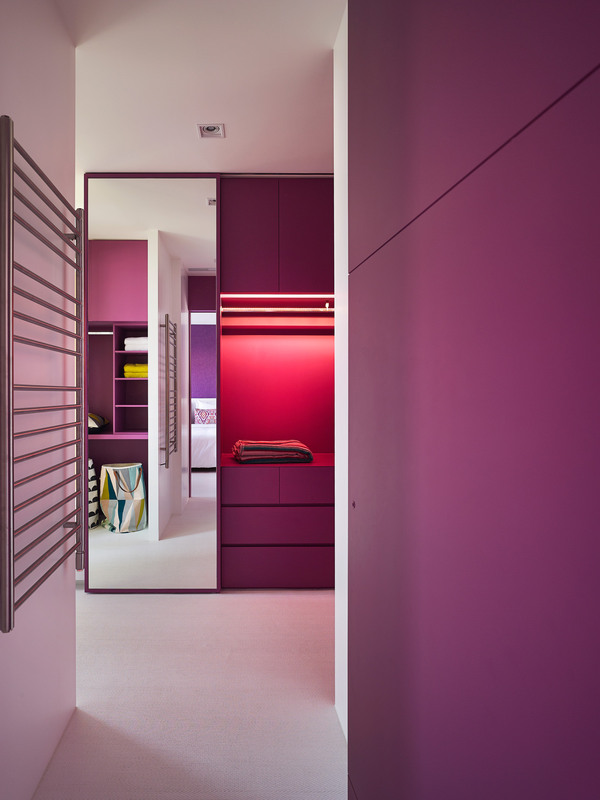 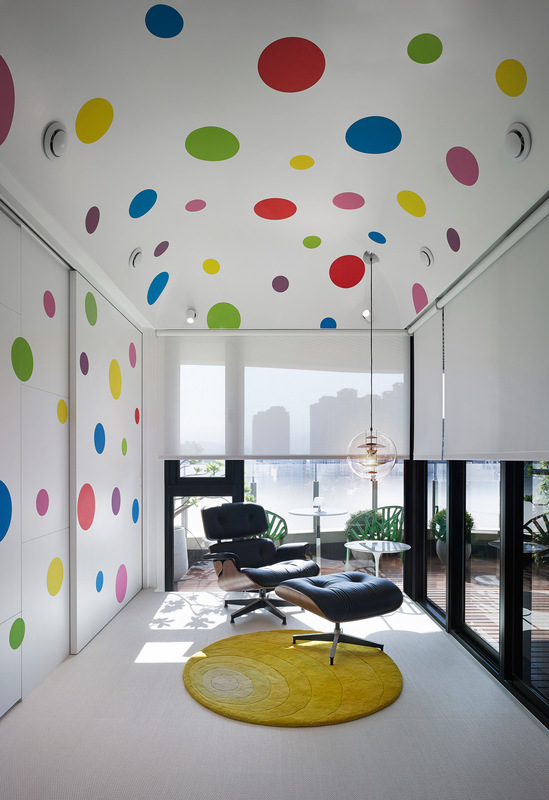 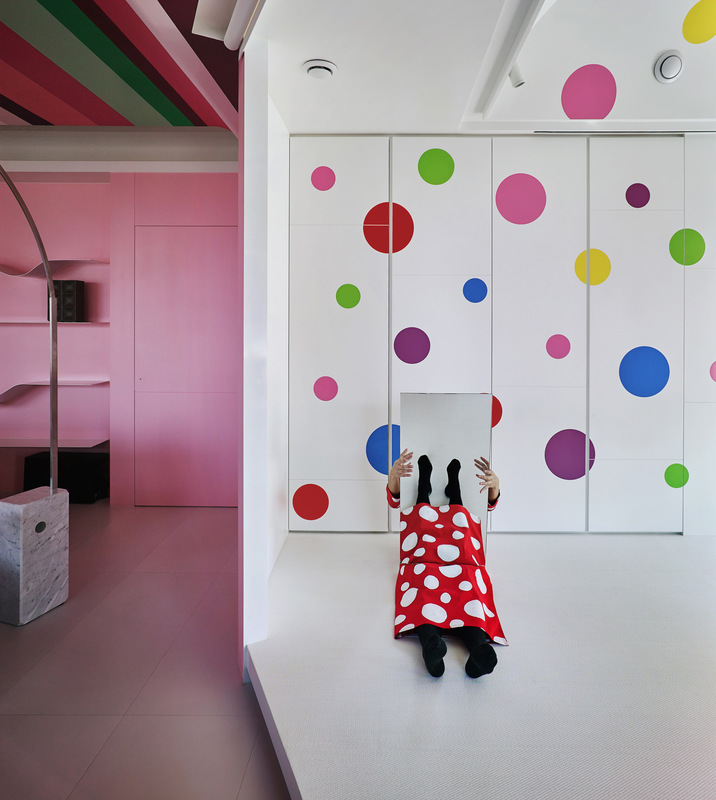 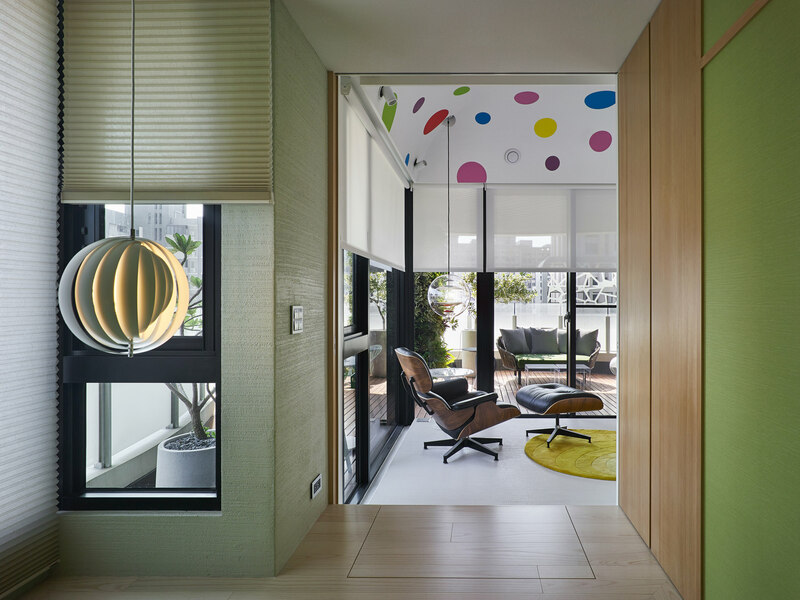 The house is colorful and exuberant, and it is peppered with modern art inspired design cues. 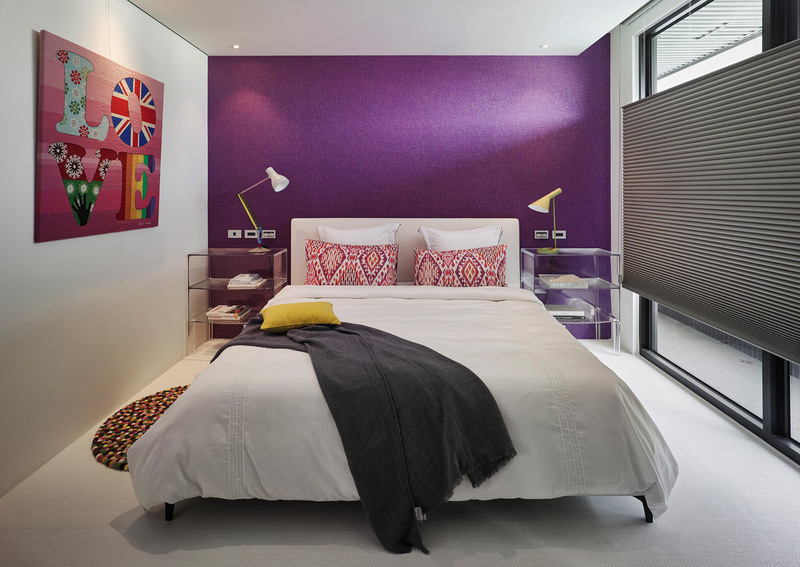 We also break away from traditional interior design and incorporate signature elements from some of the most prominent modern artists.